I was raised by a man who suffered unthinkable abuse at the hands of a male authority figure in his life. 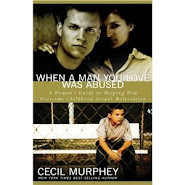 No one knew my dad had been abused. He is incredibly masculine, gifted in many ways, and wise in the ways of the world. There was another side of him, the side that only we in the family got to see. He shared his pain with us. As I grew into an adult, I hated him for sharing his pain. The verbal barrages, the paranoia, the compulsive infidelity in my parent’s marriage, and the shattered dreams of childhood when my parents divorced. Life seemed tragic to me, especially once I started having children and realized the horror that my father had endured and shared with me. I used to be so angry that while mopping the floor in my home, I felt as if the tiles would break under the weight of my hurt and sorrow. I cried out to God: "How could You let this happen to my dad? How do You choose?" I got an answer to my question but not one I expected. Other people’s sin toward us is not what God wants for us. But it does happen and when it does the pain serves a purpose in our lives. It shapes us and teaches us. Many of us get stuck in a place of fear and bitterness. I've been there. Making amends for me has been a journey of healing. I wrote letters to those who hurt me, sharing openly how I felt. Although I didn't send them, it was cathartic for me to allow myself to feel. I have learned to set healthy boundaries in relationships, including with my dad. I accept what is, instead of trying to change everything. The easiest thing to change is me. That is the point of making amends, the change in us. The pain of abuse in my family is still there, but now I see it as a gift. It has given me strength and wisdom and shows me my need for something bigger than myself and for authentic relationships where I can be who I am. 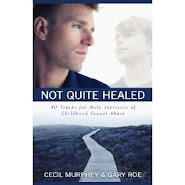 Cecil’s book When a Man You Love Was Abused was so helpful to me in the process of making amends because it allowed me to know I am not alone and neither are you. We are all on a journey of making amends, and I am grateful to God for this truth. Carla wrote that life is difficult for her because her boyfriend keeps telling her the things that are wrong with her. 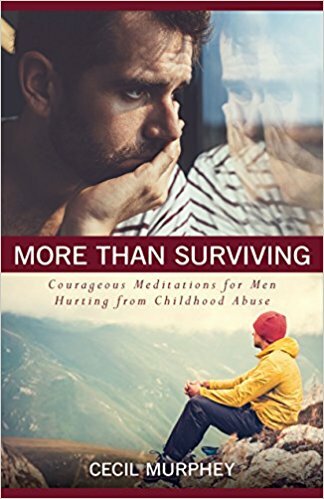 Because this blog revolves around male sexual abuse, I assume he is a survivor. When someone persists in telling me what's wrong with me, something is wrong with the other person. Think of his criticism of you as his inability to accept those qualities in himself. So he throws the problem on you as if you are defective. I'd also ask why he remains your boyfriend? What kind of relationship is it in which he continues to hammer your unacceptable qualities into your head? The following testimony is from Graham M. Bell, West Yorkshire, UK (and I've retained his British spellings). I'm almost 47. When I was 9 or 10, then from the ages of 11 to 14, I was groomed and used systematically for the sexual gratification of three men. One was a neighbour, another his lodger, and the third, a teacher whose school I'd started a term late. Hence, I was the new boy. My recovery has begun in earnest of late. How I've not ended my life—directly or indirectly—already, I have no idea. I pray lots. I've made a Christian commitment. I hold back...but I'm closer than ever to purging the wounds, and I'm still reluctant to trust even God. I never realised how numbed I'd made myself. Then, suddenly (after 35 years!) I found Cec's book. My wife wept through it. I did, too. I'm giving up alcohol for Lent. My promise to God is to use my gifts to create something—something in return for Him having spared my almost-suicidal life. If I do finish the book, it won't usurp Cec's! Love to Cec, and his bloggers.